A solid offering from ASUS for those who just can’t make the financial stretch to the Maximus motherboard series. You get a lot of the ROG DNA here but at a reduced price, and for the purposes of a gaming PC, the STRIX-Z390-E Gaming has everything you need. In the end, we can be short about this STRIX, it's really good when it comes to BIOS, features, and stability. The board performance and defaults also are good, was stable and has decent (but not exceptional) looks (if you like the style of course). We expect this board to sit in the sub 225 USD/EUR price marker. Asus is back with their STRIX lineup of Z390 motherboards – I got my hands on their STRIX-E board and took it to bits to see what it’s made of and if it’s worth your hard earned money! 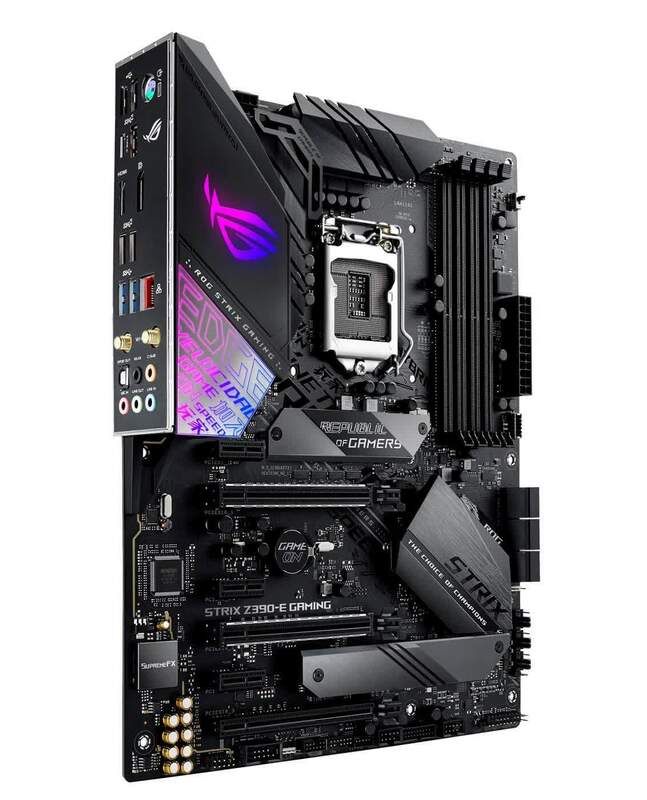 For $244.99 US, the ROG STRIX Z390-E Gaming is definitely a strong product in this price segment as it offers a lot of features in a stunning design. It offers one of the best looking designs and the best overclocking performance in its class making it one of the most appealing motherboards for Z390 PC builders. The Z390-E Gaming is a strong offering from the ROG team. This board carries a solid feature-set and performance is superb. 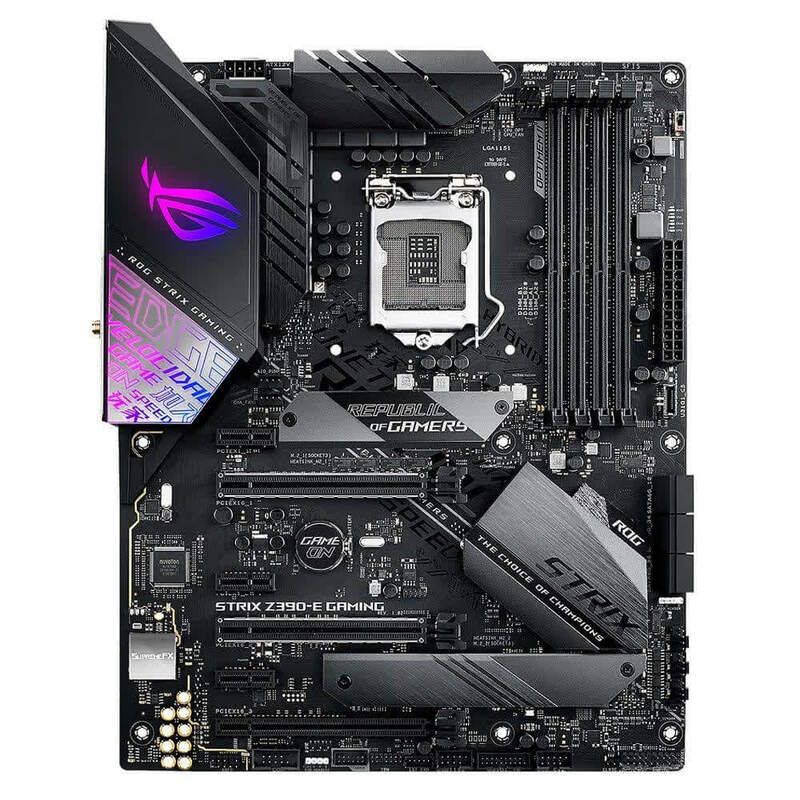 Starting off with the Z390 on the Strix-E motherboard we've used for our initial testing today, there are three Intel based additions and a few ASUS ones too. So the Z390 now has chipset based USB 3.1 Gen2 support letting you connect the very highest bandwidth devices and maximise their potential. Additionally Intel have come up with their own 5Gb/s AC dual WiFi so that our modern wireless world can be brought to the desktop without relying upon the motherboard manufacturers to add this on.